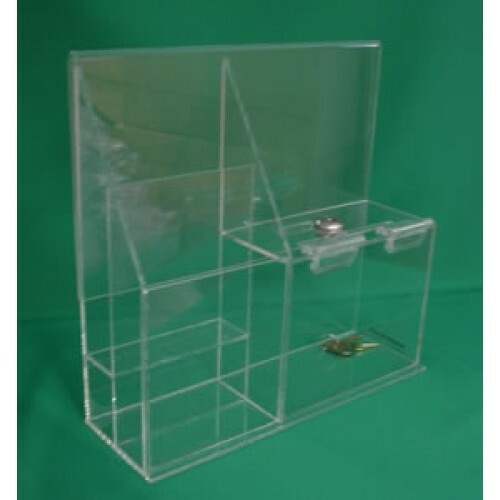 This Donation/Collection Box is an ideal solution for fundraising programs. 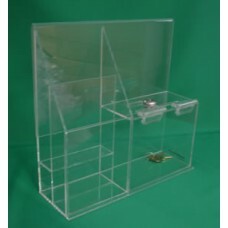 The box comes with two built-in brochure holders allowing a large block of brochures. The back side of this Donation/Collection Box has a sign holder, where you can display your message or any other visuals. You can also use this box as a Suggestion Box. This Donation/Collection Box comes with a lock which allows secure storage of collected items.